I love the Spring and Early Summer. Days are longer, kids are out of school and most of us dust off the grill for 4 months of outdoor living. It is also the time of the year to transition to lighter wines. White, Rose and lighter bodied reds replace the heavy red wine we prefer in winter. My favorite wine for hot weather is Vinho Verde. Literally translated as "Green Wine," this Portuguese beauty, for me, is a summer staple. Light, refreshing and inexpensive; this wine will change your perception of cheap white wine. It is easy drinking with low alcohol. This is a perfect warm weather wine. This wine is wonderfully crisp and refreshing. It is light bodied with plenty of acid. It is easy to pair with most summer and grilled food. Reminiscent of a Sauvignon Blanc, it has a nose of lemon and lime, fresh grass and a touch of earth. The wine is slightly effervescent. This is the trademark of a vinho verde. It tickles your tongue. 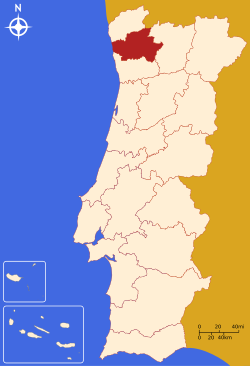 This wine is generally made from loureiro, trajadura and albarino grapes which are indigenous in Portugal. If the map looks like a persons face in profile, the wine is produced by the eyes and forehead. (See Map) The blend varies from producer to producer, but always includes these varietals. This wine is called Vinho Verde, because the wine is meant to be enjoyed while young. It is important that you check the label to be sure you are buying the latest available. Currently, you want the 2007 wine. Winemakers in general are creative personalities. Although there is certainly science involved in fermenting the wine, the blending is all by taste. The most successful wines are not necessarily the best wines. Why you ask? The simple answer is that it takes more then the creative winemaker to ensure success of a label. It takes passion and business savvy. Behind every successful winemaker is a savvy business type. Periodically, you find a winemaker that has been blessed with both of these necessary talents. Jed Steele is one of these winemakers. 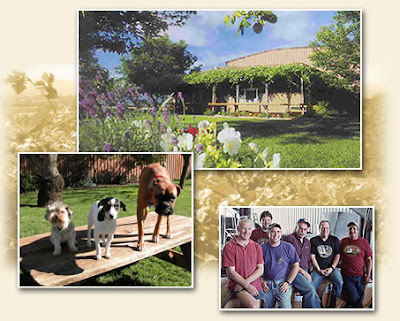 Jed started his career at Ed Meades Vineyards in Mendocino County. He cut his teeth there, and moved when he was offered a position at Kendall Jackson. At that time Kendall Jackson was a newcomer. Jed was the Founding winemaker and VP of production for many years. When it was time, he went on his own to form Steele Wines. Located in Lake County, his operation has grown over the years and now bottles under at least three labels. A friend recommended Writers Block Zinfandel to me this past fall. I was very impressed with the wine and wrote a positive review. The review made its way back to Jed Steele, who quickly called me to thank me. After the initial shock, I chatted with Jed for about 15 minutes. He told me about his wines, his philosophy and his passion. What I found so intriguing was his business sense. Like a good salesman, Jed picked up the phone to say thanks. Like a good consumer, I LOVED getting the call. Like a good salesman he told me how good his other wines were. Like a good consumer I told him I'd love to try them. Like a good salesman he sent me a box of his wines. Like a good consumer... You are starting to get the picture right? I am generally a fan of Petite Sirah. For those who don't know, this is not Syrah, nor is it Pinot Noir. Petite Sirah is a completely different varietal. Sometimes called Durif, this grape was developed in France by crossing Syrah with the Peloursin grape in the late 1800's. The resulting hybrid was resistant to Powdery Mildew, a real problem for the Syrah varietal. It has adapted very well to the dry California climate and is now almost non-existent in France. Steele blends his Petite Sirah with a bit of Zinfandel, Syrah and Merlot. It pours dark red, but not as dark and inky as many Petite Sirah I have tasted. It is lighter in color and viscosity. This lighter character may come from the higher elevation these particular Petite Syrah grapes are grown. The nose was blueberry, black fruit, earth and a bit of violet (Unexpected). The wine has good mouth feel, but is not as fleshy or chewy as many Petite Sirah I have tasted. It has blue and black fruit up front with spice and pepper. There is a good bite from tannins that mellow as the wine opens. Overall, it is a good, balanced, easy drinking wine. You can find Writers Block Petite Syrah at most good wine stores for under $20. I think we have to support winemakers that are thinking outside the box, and Jed Steele is one of these winemakers. Give it a try, and let me know what you think. Post a comment. I have it on good authority that Jed checks in to read my reviews from time to time!